Vanilla Ice speaks about insight, purpose, drive, ambition, motivation, inspiration, and the necessary tools to become successful in Real Estate. The iconic Robert Van Winkle aka Vanilla Ice exploded on the Rap/Pop music scene in 1990/91 selling 10 million albums in 4 months and hitting number one on the Billboard charts with the number one single “Ice Ice Baby and number one album positions. 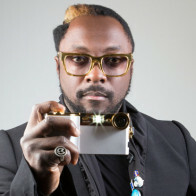 His worldwide album sales are over 15 million and individual songs total over 160 million and are still selling. Vanilla Ice won 2 MTV Awards, a People’s Choice Award, and was nominated for a Grammy. Vanilla Ice has starred or appeared in the movies Teenage Mutant Ninja Turtles 2, Cool As Ice, The Helix Loaded, The New Guy, The Bros, Big Money Hustlas, That’s My Boy and Ridiculous Six with Adam Sandler. 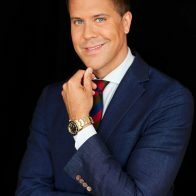 His TV credits include Celebrity Boxing, Hollywood Squares, The Farm -UK, Surreal Life, Celebrity Bull Riding, Dancing On Ice 6, Canada Sings Seasons 1&2, and the DIY shows The Vanilla Ice Project Seasons 1,2, 3, 4 & 5, three episodes of Ice My House, and series Vanilla Ice Goes Amish 1 & 2. Vanilla Ice performed pantomine live on Stage as Captain Hook in Peter Pan in the UK as well as doing a 20-city Dancing On Ice skating tour. 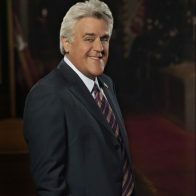 His latest TV appearances include guest spots on ABC – The View, Good Morning America, Good Afternoon America, The Today Show and The Late Night Show. 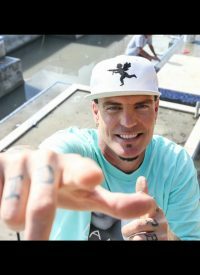 Vanilla Ice has had great success in Real Estate and has launched Vanilla Ice Real Estate.com with mentoring courses in Real Estate investments as well as upcoming live seminars around the US. His current TV show “The Vanilla Ice Project” on DIY won The Factual Award for the Best Home TV Show. Vanilla Ice has toured consistently throughout his career since 1990 performing all over the world. The last two years tour stops have included the USA, Canada, Great Britain, Ireland, Scotland, the Netherlands, Spain, Portugal, Russia, Egypt, Turkey, South Africa, Australia and other countries. Vanilla Ice has appeared in commercials for Zumba with a launched remix of “Ice Ice Baby”, a Vanilla Ice lighting line for Capital Lighting, Castle Lite Beer in South Africa, Virgin Mobile in Australia, and internet ads for Hotels.com and Turbo Tax, and ads for the 7 Eleven – LA market, and Six Flags – Dallas market.